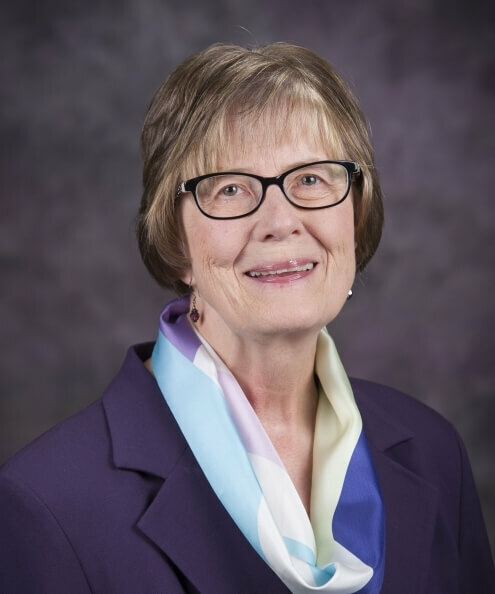 Sue Maes, former dean of Global Campus at Kansas State University, has served the education community for decades. She is an expert on building new academic programs and fostering institutional collaboration. Maes has been nationally recognized for her work in continuing education and online learning. In her role as dean, Maes oversaw the online coordination of nine bachelor degree completion programs, four online bachelor’s degrees, 35 master’s degrees, one doctorate, nine minors, 24 certificate programs, summer session, Evening College, Intersession and conferences and institutes. She received the University Professional and Continuing Education Association's most prestigious national recognition, the Julius M. Nolte Award for Extraordinary Leadership, in April 2011. The award is given only in years when a nominee demonstrates exceptional, longstanding contributions to continuing education at the regional, national and international levels. She also served as this organization’s president. Maes also received the Richard Jonsen Award for Outstanding Contributions to the E-learning Community, the highest national award given by the Western Interstate Commission for Higher Education Cooperative for Educational Technologies, in fall 2010. The award is given annually to an individual whose career has been committed to improving postsecondary educational programs and services through innovative uses of technology. In 2000, she was elected to the International Adult and Continuing Education Hall of Fame. Maes serves as co-director of the Institute for Academic Alliances which has played a key role in the development of the Great Plains Interactive Distance Education Alliance and the University Engineering Alliance. Both of these alliances further the access for adults to new online degrees that no one university could develop alone. She was a senior development officer at K-State's Educational Communications Center for 10 years, providing leadership to the K-State campus, Kansas Board of Regents system and state of Kansas in the development of telecommunications and multimedia infrastructure. Maes received a bachelor's in social science, a master's in family and child development, and a doctorate in counseling and educational psychology with an emphasis in higher education administration, all from Kansas State University. She also has participated in the Harvard University's Institute for Management of Lifelong Education.